Add a metallic accent to your planner or handmade card with the new KITTA washi tape! These new washi tapes are finished with gleaming metallic foil detail which make them look even beautiful! 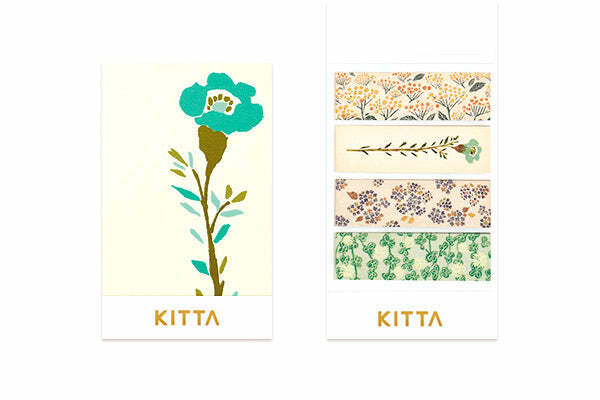 Unlike the traditional washi tapes, KITTA turns the washi tapes into convenient 5cm sticker strips. These beautiful washi tapes can be carried around easily, you can just place it anywhere in your pocket, journal, pen case, or wallet!